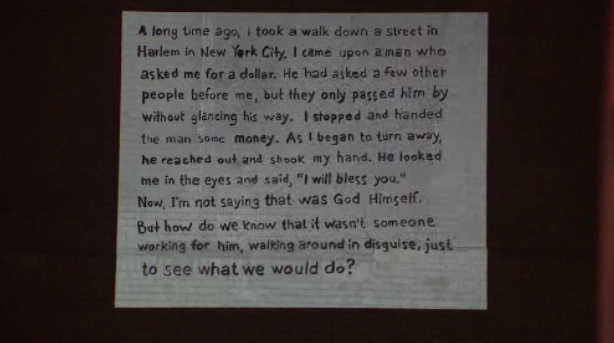 HARLEM, Manhattan (WABC) -- Muhammad Ali was truly a citizen of the world, but he had many significant moments in New York City. In Harlem on Saturday night, people from all different backgrounds and religions remembered Ali not just for his career inside the ring, but for his work outside of it, too. 'Float like a butterfly, sting like a bee' was part of the city's tribute to the World's Greatest in Harlem. The most famous quotes are being displayed all night long, along with images of a butterfly and a bee. As the saying goes, legends never die. 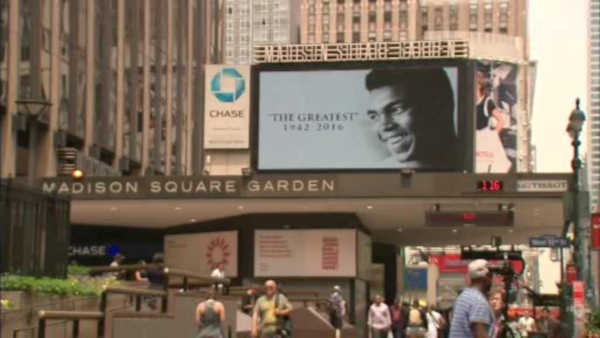 Ali's legacy was honored in New York City from Madison Square Garden to the Apollo Theater in Harlem. A man who was so much more than a heavyweight boxer, the Garden was one of the places where Ali mesmerized and captivated the world's attention in the 'Fight of the Century' against Joe Frazier. Ali's legacy also lives on inside Brooklyn's famed Gleason's Gym. The champ trained in the gym's original Bronx location for his big title fight against Sonny Liston, but more than the pictures and mementos, it was his presence that everyone felt in the gym. He would come back to the gym and would just talk to everybody. History may remember him most for his fights outside the ring. As a civil rights activist and a global cultural icon, the Reverend Al Sharpton in Harlem reminded everyone that legends have to earn it. "The world denounced him. People would go to the fights to see him, go to fights to see him beat, but he stood right there, and because he stood for something, the whole world turned around and started honoring and respecting him," said Reverend Sharpton. Those words ring true even today. Muhammad Ali could never be kept down, and even in death he cannot be beat.